Condensate is an unavoidable result of air compression. It is a chemically aggressive fl uid that mainly consists of water, but also contains oil and dirt particles. This combination of substances can consequently cause serious environmental harm if released in its raw state. Water resource legislation stipulates that contaminated water must be treated to achieve prescribed safety levels regarding purity. AQUAMAT condensate treatment systems do precisely that: They ensure that contaminant levels are kept well within regulation limits (e.g. max. 10 or 20 mg/litre for hydrocarbons). out in-house condensate treatment and thereby greatly reduce the overall cost of condensate waste treatment and disposal. 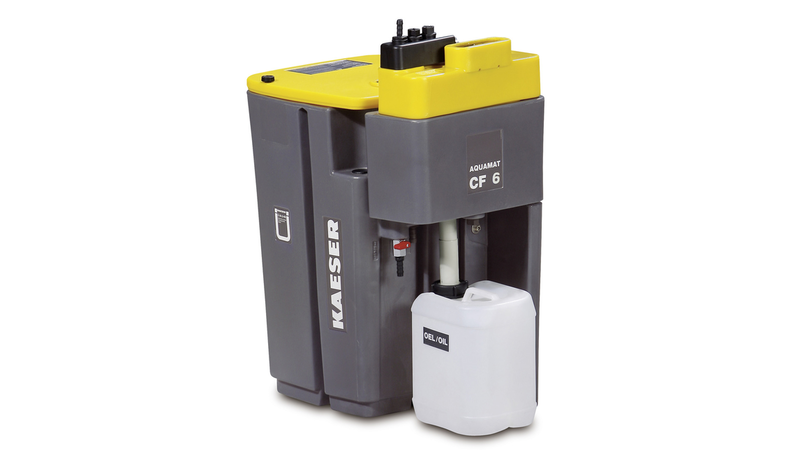 Condensate treatment with the KAESER AQUAMAT system saves up to 90 % of the disposal costs that would be required for a specialist company to dispose of the condensate.